According to a new study from Stanford University and New York University quitting Facebook for a month makes users happier. It helped some of them reduce their online activity and increase offline activities including socialising with family and friends. On the other hand they spent less time consuming news. Researchers studied 2,844 people who reported spending an hour on Facebook each day. They randomly assigned half the subjects to deactivate their accounts for 4 weeks, and paid them about EUR 90 for their efforts. The researchers monitored the accounts to spot any cheaters and sent SMSs to see how they were feeling during the abstinence. "If Facebook were like heroin that number would have gone way down. That was not the case for Facebook" Hunt Allcott study author and associate professor at New York University told 'CNN'. 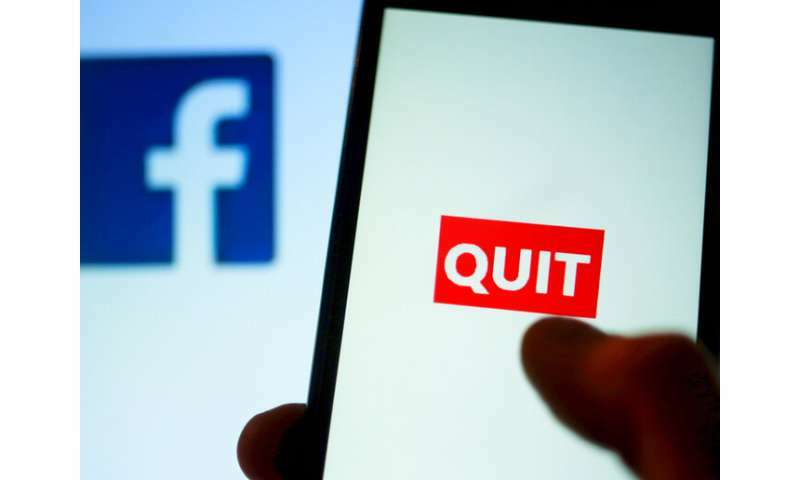 "The great majority of the Treatment group agreed that deactivation was good for them, but they were also more likely to think that people would miss Facebook if they used it less," the study said. It also noted: "We find that four weeks without Facebook improves subjective well-being and substantially reduces post-experiment demand, suggesting that forces such as addiction and projection bias may cause people to use Facebook more than they otherwise would." "Deactivation caused small but significant improvements in well-being, and in particular on self-reported happiness, life satisfaction, depression, and anxiety," the researchers concluded. "Effects on subjective well-being as measured by responses to brief daily text messages are positive but not significant." He considers the research important because it's the largest randomised study concerning Facebook. "Previous research mostly looked at correlation: How much do you use Facebook and how depressed are you?" Prof. Allcott added. "These studies show that people who use Facebook more are more depressed, but the problem is correlation doesn't create causation. We didn't know if Facebook was making people depressed or depressed people were retreating into Facebook." The study also acknowledges that there are clear benefits to Facebook. Findings should be treated with caution, say the researchers, mainly because the "effects could differ with the duration or scale of deactivation. A longer period without Facebook might have less impact on news knowledge as people find alternative news sources, and either more or less impact on subjective well-being." The study comes at a time when there's discussion everywhere about the risks of social networking sites, fake news and data privacy. Whether the good outweighs the bad when it comes to platforms like Facebook depends entirely on what's considered good and bad, and by whom.